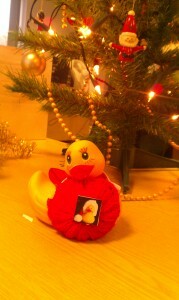 Here at Tennant’s we hope you all have a fantastic Christmas and that you are looking forward to the New Year ahead. Our production department is busy right up until the Christmas break. Beryl is keeping a close eye on things and realised we needed some extra help. 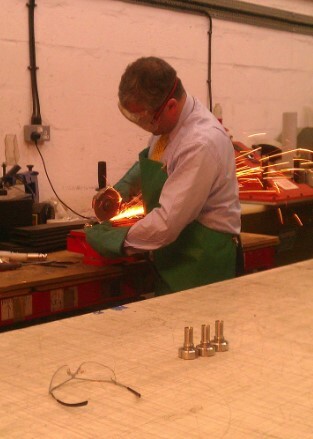 So she put our Managing Director to work. Which just goes to show that when things get tight it’s all hands to the grind stone (literally) and everyone gets stuck in. This entry was posted in Uncategorized on December 23, 2014 by Joe Taylor. Saturday 6th December. 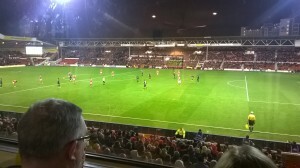 Forest v Charlton, The City Ground. 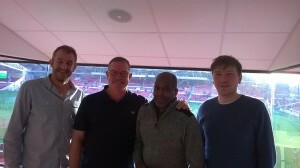 Ady, Malcolm, Clive and Dave before the match in the very civilized surroundings of Trent Instruments hospitality box. Malcolm Buckley, our host, and his wife Bridget looked after us, and we hardly noticed how poor the footie was in the first half as we tried to fight Ady off the sausage rolls. Although Dave managed to stay the distance (unlike the bowling incident), unfortunately Mark Buckley was unable to come as he was sticking close to the porcelain that day (dodgy prawn apparently). 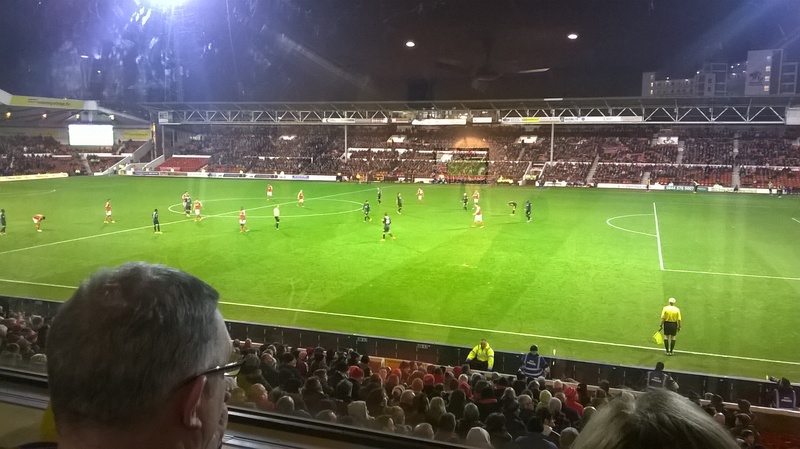 We were in a prime spot in line with the penalty area to see Forest equalize through a Tesche belter which had Malcolm and Bridget in each others arms, and Ady heading back for the chicken drum sticks. 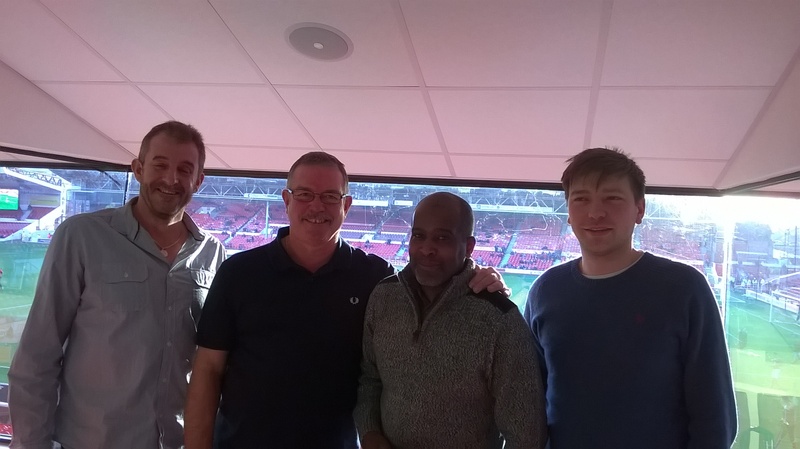 All in all a fantastic afternoon and great company. Thanks again to the guys at Trent Instruments. This entry was posted in Uncategorized on December 17, 2014 by Joe Taylor. Someone accused the MD of not having any Christmas goodwill. 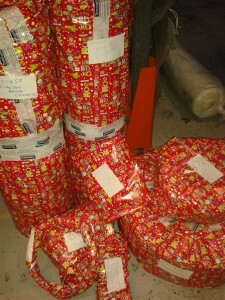 So to prove them wrong he has forced the Warehouse to wrap this weeks deliveries in Christmas wrapping paper. Ho ho ho !!!! 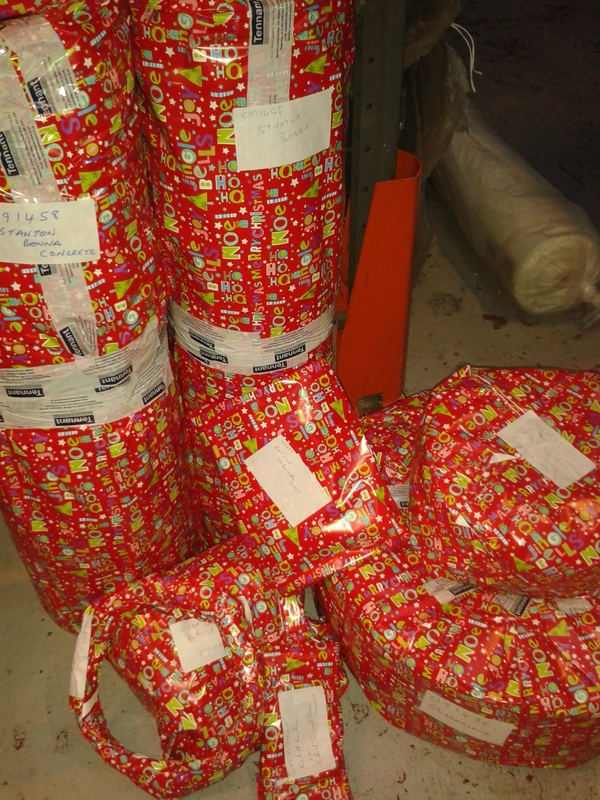 We apologise if you receive such a parcel and mistakenly think it is a gift. Our goodwill doesn’t extend that far, we expect you to pay for the goods!! This entry was posted in Uncategorized on December 16, 2014 by Joe Taylor. 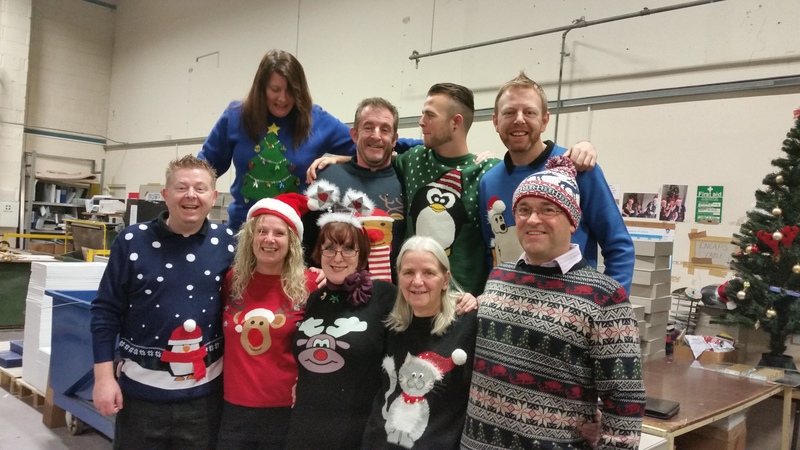 Tennant Rubber and Tennant Varipak combined efforts on Friday to show off the worst of their seasonal attire. Christmas jumpers were on display all over the place and as you can see here, it was all done “in the best possible taste”!! Back row from left to right, Rhonda, Ady, Shane and Sean. Front row left to right, Jason, Debbie, Teresa, Margaret and Joe. But of course, not to be outdone . She’s not such an ugly duckling. This entry was posted in Uncategorized on December 15, 2014 by Joe Taylor. Congratulations to following people who found Beryl in November and were drawn out of the hat. They will all be getting their high street vouchers in the post. Would you believe it? She’s gone again. Help us find her and enter the competition. This entry was posted in Uncategorized on December 1, 2014 by Joe Taylor.